Access and habituation are socio-cultural forces that have acted to domesticate the drone in contemporary society. Initially a military tool for surveillance, drones took on the role of munitions platforms providing a means to conduct military operations without physical risk to their operators. As the critiques and visibility of drones in our military and foreign policy grew, we began to witness artists engaging critically with the policies and impact these technologies have on redefining and controlling geographies and human bodies alike. 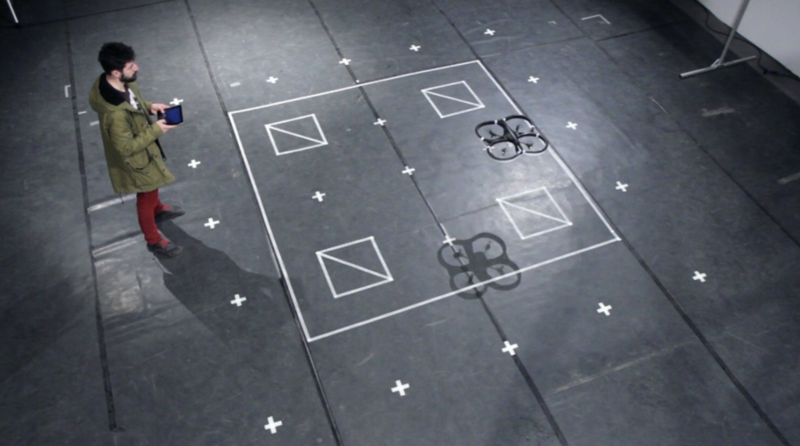 Drone On revisits the 2015 Art2Drone catalog by v1b3:video in the built environemnt. This online exhibition and catalog features twenty art works and three critical essays.